I know, I know, Cowspiracy came out in 2014, it's not exactly new, but I suspect there's a few of you out there who haven't seen it. Am I right? 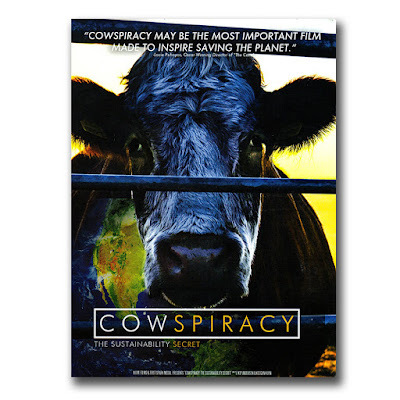 The film is pitched "As eye opening as Blackfish and as inspiring as An Inconvenient Truth" and documents one man's journey into understanding the environmental impact of large-scale factory farming. We follow Kip while he learns more of the facts and approaches many institutions - including leading advocacy groups - to ask why more isn't being done to change a system that so negatively impacts the climate, water use, deforestation and ocean health. While watching the film I felt an overwhelming urge to call Kip (our protagonist documentarian) because I connected so much with his story. I, too, was greatly impacted by seeing An Inconvenient Truth, and adopted all sorts of environmentally-friendly changes in my lifestyle (as readers of Sustainability with Style know). And I, too, was floored when I learned about the devastating environmental toll of livestock production as it is practiced today, and wondered why it wasn't receiving more airtime. Have you changed your lightbulbs? Easy! Why don't you bring your own bags to the grocery store? Done! How about you drive one day less a week? I can do that! Are you recycling properly? You betcha! Let's not eat any beef this weekend? How dare you ask me that! That reaction took me by surprise, but also intrigued me enough to make it a focus of my Masters research. The reasons why people react this way are varied and complex, and relate to things like their personal identity, wanting to maintain a positive self-image, health and fitness concerns, cultural identity, and freedom. The notion that we are free to make our own choices in Western democratic societies is a powerful one, and food appears to be one of the things we cherish the right to choose, right up there with religion (and fashion! as I'm finding out). There are countless reasons to eat more plants and less meat - health, environment, animal rights, food security, the well-being of our fellow humans in developing nations - so if you're a meat-loving carnivore, you can start by dabbling. Start with Meatless Mondays, work up to being a Weekday Vegetarian, and opt for meat that is organic, free range or otherwise sustainably reared. Be prepared, sometimes the information feels a bit 'sensationalised' and overly 'preachy' - which I know we all hate! (And I realise I'm on the verge of doing myself here, so I'm going to wrap it up.) The statistics are valid, but Kip's impassioned tone can feel a little irritating at times. I recommend you push on, there are brilliant interviews with leaders in food and sustainability, and you'll walk away armed with more data than you know what to do with. Next week I'm participating in a Veg*n Sustainability workshop at the University of Sydney, where we'll discuss why it's so hard to talk about changing meat consumption practices, and where we can go from here. Watch this space! And if it turns out we really can't kick our meat habit, some folks are dabbing with growing meat in a lab - not my personal choice, but I admire their ingenuity. Have you made changes to your diet in the interest of the environment? What has been easiest? Or hardest? I'd love to hear from you! In the interest of transparency: I eat meat about once a week, and beef 3 or 4 times a year. The vast majority of the time the meat is organic and free range. 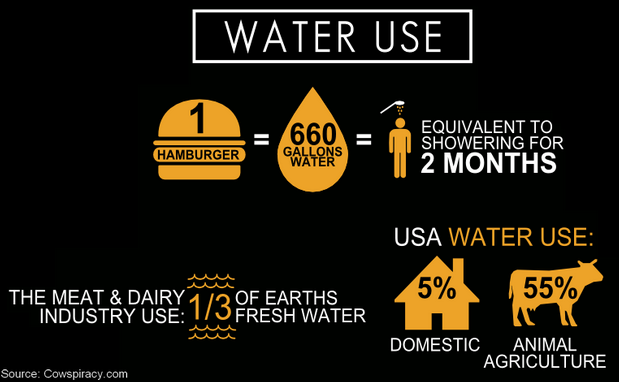 Yes, this makes it more expensive, but it also makes it more nutritious and softer on the planet. And because it's a 'sometimes food', I don't mind paying the higher price.